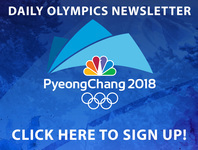 MADISON, Wis. (AP) -- Two siblings who grew up watching their family curl in Madison have their sights set on Olympic gold. Matt and Becca Hamilton are heading to Pyeongchang this month to represent Team USA in mixed doubles curling at the Olympics, Wisconsin Public Radio reported. Players take turns lunging down the ice while pushing a 44-pound rock. They sweep the ice with a special broom to guide the rock to a target. The team closest to the center of the target wins points. "It's almost poetic," 27-year-old Matt Hamilton said. "All you can hear is your broom sliding on the ice, and the rock sliding, the occasional sound of rocks hitting each other. It's kind of serene. It was very Zen." The pair grew up watching their family participate in the sport at the Madison Curling Club. "Once I was drug out on the ice, I didn't look back," 26-year-old Becca Hamilton said. "I was down (at the curling club) every single day before school and after school, playing in multiple leagues at night. I was hooked." The mixed doubles event is new to the Olympics. There will be seven other duos from around the world competing. Coach Jake Higgs says their communication skills drive their success. Becca Hamilton said they have different personalities that balance each other out. "So he's pretty involved with the crowd and he's got an upbeat personality and I'm kind of the calm out there that reels him back in when you need to," she said. Matt Hamilton said they can be more open with each other because they're related. "If someone's struggling or something like that, we can tell each other with absolute honesty what we're seeing and know that that's not going to offend her," he said. "I'm not telling her what she's doing wrong to be mean. She knows I'm doing it to help her get better and play better." Matt Hamilton is also competing with the men's team while Becca Hamilton is on the women's team.